There is no avoiding ads from Microsoft. Xbox Kinect uses motion and voice to let you interact with advertisements. I don’t think we can go through the day without seeing some kind of advertisement. As you read this post I am sure you have passed some sort of advertisement – perhaps without even realizing it. However, that is not good enough for advertisers these days. They want us to enjoy ads and even get engaged in them. 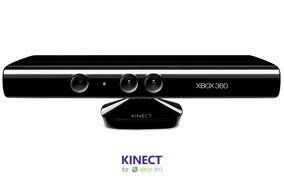 The Xbox Kinect gaming console allows the consumer to use NUads (natural user-interface ads) that are placed throughout games and other media. The user will be instructed to speak a command that will connect them with social media, send them text message reminders, and look up maps. In some cases the motion sensor will even allow them to use their hands to vote for their favorite products and brands. Is this a good idea, making ads more interactive and perhaps even convenient? Of course advertisers will say it is, but I want to hear from the consumer. Personally, I am not that bothered by marketing efforts so long as they are not too intrusive. If I can benefit from it in some way then that makes it even better!